I was checking out an idea I had on Friday and after success that day I tried it again yesterday and had another really good days profit both for backing to win and backing just to place. 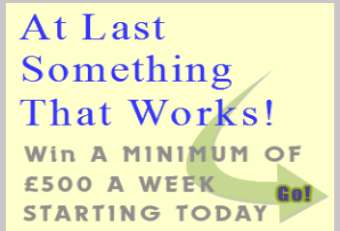 Read on to find out how it made over 65 pts profit in just two days! If you have read all of my Blog posts, you will know that when using the ratings it is quite easy to come up with a sensible and profitable plan, method or system. As long as the idea is based on common sense, you will find that the ratings can be trusted and used in a number of ways, it just depends how you look at them and ultimately how you think when looking for an idea. We already know that the top 3 Master rated horses provide the winner in around 60% of all races run and this is clearly a great place to start when looking for profitable bets. I started to think about how I could find horses from the top 3 Master rated horses that were well handicapped or possibly ready to win again. This led me to the idea I eventually came up with and all you need to do is just look at the ratings on the race card. I thought that if a horse was going to be dropped in the weights it would probably not have had a great run last time out so I started looking at horses who were in the top 3 in the Master column that also didn't have one of the top 3 ratings last time out, shown in the Lto column. Then I thought that whether the horse won last time out or if it came last, if it doesn't have a top 3 Lto rating, it could mean that the horse didn't have to or didn't give 100% effort in that race and could now be more rested than other runners, ready to give a greater effort in it's race today. Bearing in mind the horse is already one of the highest rated horses in the race, I thought this could be an angle worth looking at. And looking at the 65 point profit in 2 days just for betting to win, I definitely think it could be! So the rules themselves are very simple. 2. Note all of the horses with a top 3 rating highlighted in red in the Master column. This could give 3, 4, 5 or more horses, it just depends on the race. 3. Take the highest rated horse that DOES NOT have one of the top 3 ratings in the Lto column and check that it has won at least once over today's race code. So this is either Flat, All Weather, Chase or Hurdles. 4. If it has it is the selection. If it has not, look at the next highest rated horse in the Master column without a top 3 Lto rating and check if it has won over today's race code until you have a selection. 5. If you have two horses with the same Master rating and neither have a top 3 rating in the Lto column, pick the one with the highest winning strike rate over today's race code. 6. If an original selection is a non runner or what would have been the selection is a non runner, then ignore the race. My initial idea was to back these to be placed so I chose a minimum place BSP of 2.75 otherwise no bet on the win or the place. An example of how a selection is found. If you look below you will see the 5.10 race from Newbury on Friday, shown on the results page of the members area. You can click all of the images to enlarge them. There are two possible selections in this race, Pure Shores and Champagne Bob. Both are in the top 3 of the Master column (in red) and both do not have a top 3 rating in the Lto column (in red). As it has the higher Master rating of 78, Pure Shores is our first possible selection, so we just need to check it has won over today's race code. You can do that very quickly by hovering your mouse over the horse name as on the image below, or tapping the horse name if you are using a mobile device to bring up the yellow pop up box full of each horses previous stats. As you can see on the pop up box above, Pure Shores has run three times on turf and has not yet won so this horse is ignored and we go on to check the stats of Champagne Bob. So after checking the pop up box for Champagne Bob you can see it has won 5 times out of 36 attempts on turf with a 14% strike rate and so became the selection for this race. Looking to the right of the image above in the results panel, you can see that horse came 1st at 17/2 with a BSP of 11.42. Here is a list of all selections that won or were placed, over the past two days that had a place BSP of over 2.75. As you can see there are some really good prices here. Here are the totals for the two days. There are a number of filters you can use to find bets that suit you betting style. * You could change minimum price of the bets both win and place. * You can limit bets to only those horses that are level with or below their last winning handicap mark. * You can insist all bets have at least a 10% strike rate over the days race type/code, or have won within the last 12 months perhaps. *Or you could only bet on those that have run within the past 30/60/90 days or whatever you think would filter out the best horses to bet on. Whatever you decide, this simple strategy has certainly started off well. 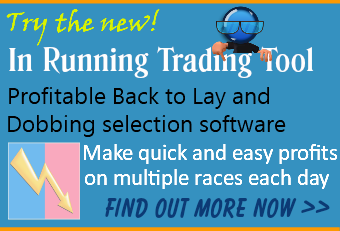 All past race cards can be checked if you are a subscriber, so you can go back a few weeks or months to see how other results fared using any of the filters above or just sticking to the basic plan and rules as it is now. Inform Racing is the #1 resource for UK speed ratings and has been successfully online since 2003. If you are a member of Inform Racing you can follow this new idea and every other posted on the Blog every day. 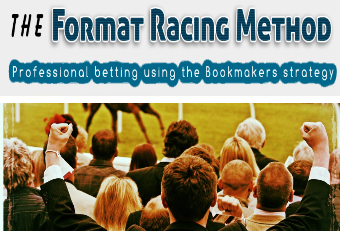 To sign up and access the ratings for every race at every meeting, use the link below.